What is the importance of Accelerated Mobile Pages ? the most important benefits of accelerated mobile suggests that every second a visitor waits for your page to load. Around 53 percent of people will leave your page if it takes longer than 3 seconds to load. 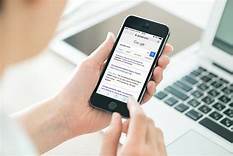 if AMP itself is not a ranking factor on Google,they announce from July 2018, they would use mobile page speed as a ranking in mobile search results. Ensure that your first 100 words or meta description get the readers to click. It might seem that a stripped down site would actually have higher engagement, but it actually provides you with more opportunities. There are less distractions and since everything loads quickly, people are more likely to interact with the features you do offer including forms, buttons, videos and so on. There’s always a competitive aspect is present in every business. If you notice that all of your competitors are using AMP and you’re not, then you’re definitely missing out on a lot of potential customers.Adopting AMP protocols before your competitor can make your customers look at your sites.